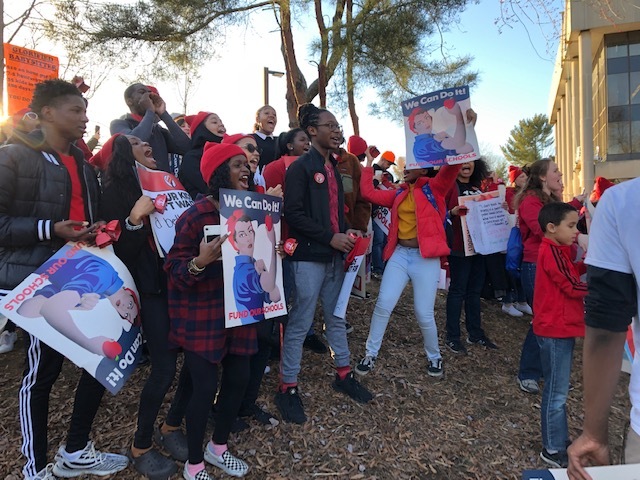 On March 11th in Annapolis, approximately 8,500 teachers, students, staff and parents all dressed in “Red for Ed,” united as one for the March for Our Schools for school funding. The protesters marched to the State House to show that multiple counties in the state want and need more funding for schools. A teacher who was marching along with the rest was Dr. Joy Swain from PGCPS. In 2002, The Bridge to Excellence in Public Schools, most known as The Thornton Commission, was passed. This act gave every student in the state the same amount of money to ensure equality in education. The act was effective until 2008 and has since been modified. Dr. Alvin Thornton, the founder of the Thornton Commission, spoke to the thousands in the crowd from the stage where all that could be seen was a river of red. In the 2019 school budget for PGCPS, $2,047,000,000 was given, while Montgomery County Public Schools (MCPS) received $2,600,000,000. School funding also greatly depends on local property taxes, meaning the more expensive the homes in an area, the higher the property taxes and the more money schools receive. Essentially, the amount of money schools get depends on the zip code, a concept that many argued against. Maryland State Education Association (MSEA) president Cheryl Bost had some proposals on how to fix this inequity. “We have come together tonight demanding full funding in our schools without delay. That means $325 million this year,” Bost explained. “Secondly, this means a $750 million commitment for next year. And this means a new funding formula to fund our schools long into the future. If we can do that, we can make this the greatest state in providing all students, all students, in all zip codes, no matter how much their parents make. All will truly mean all. According to MSEA, “a group of 25 education leaders tasked with revising the state’s funding formula, found that Maryland public schools are annually underfunded by $2.9 billion.” That is roughly $2 million missing in every school across the state. The march was not only about money, but what exactly more money is needed for. According to U.S. News & World Report, at Parkdale, a PGCPS school, only 22 percent of the student body met and only three percent exceeded Reading Proficiency expectations. At Sherwood High School, an MCPS school with roughly the same amount of students, 32 percent of the student body met and 29 percent exceeded the same Reading Proficiency expectations. Money has a direct effect on these scores and one of the reasons equality in funding was emphasized throughout the march. Other resources, including support for students, are also needed through increased funding. 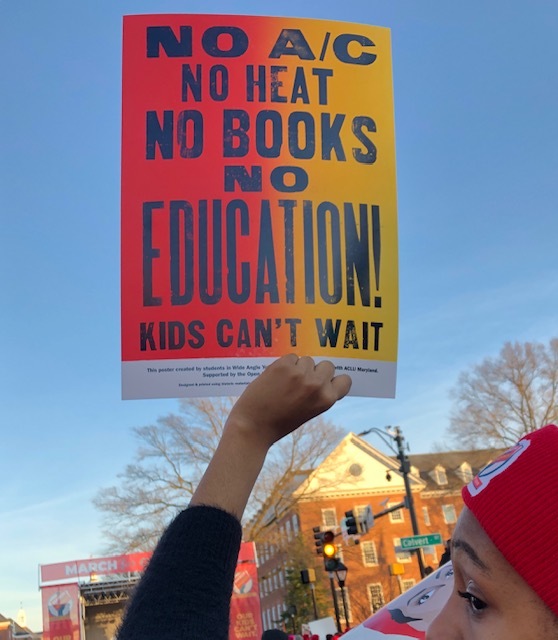 PGCPS school psychologist Elissa Kauffman was present at the march and believes that more psychologists, better health supports and social-emotional literacy should be included in schools around the state. And Mr. Troy Bradbury, from Eleanor Roosevelt High, agrees that money is not the only problem. Prince George’s County Education Association is meeting on March 20 to further discuss teacher salary steps and funding for the county.